On July 8, Uruguay won an international court case against Philip Morris International (PMI), dealing a critical blow to big business and achieving a major victory for national sovereignty. PMI, the Swiss tobacco giant famous for making Marlboro cigarettes, has recently compiled a notorious reputation for issuing lawsuits against nations that work to raise awareness of the harmful effects of tobacco. PMI’s lawsuit against Uruguay began on February 19, 2010, when the country’s packaging laws–which publicized the negative health effects of smoking cigarettes–were challenged for allegedly infringing on company intellectual property and impairing competition. Some six years later, the International Centre for Settlement of Investment Disputes (ICSID), a World Bank arbitration court, ruled that Uruguay has the right to continue its anti-smoking initiatives, and demanded that PMI reimburse the small South American country for approximately $7 million USD in legal costs. This court ruling is a refreshing divergence from the profit-motivated paradigm of international trade; the health of citizens and the autonomy of a nation were prioritized over the capitalist desire to protect corporate revenue. Uruguay’s win is also a victory for its courageous campaign to challenge a wide acceptance of tobacco and rejection of cannabis, even though medical research has revealed that the reverse sentiment should be ingrained. The court decision sparks hope for those who have too often seen large corporations neglect the health and safety of the general public in order to uphold their own interests. Tobacco has played a critical role, in both cultural and economic terms, in South America for centuries. Indigenous communities had smoked tobacco both ceremonially and socially for hundreds of years before it became an integral cash crop in the extractive economic institutions of colonial governments. Today, tobacco use in Latin America remains widespread. According to a 2008 paper from the International Journal of Chronic Obstructive Pulmonary Disease, nearly 10 percent of the world’s smoking population lives in Latin America. However, even this number is misleading, offset by low outliers such as Ecuador and Costa Rica. 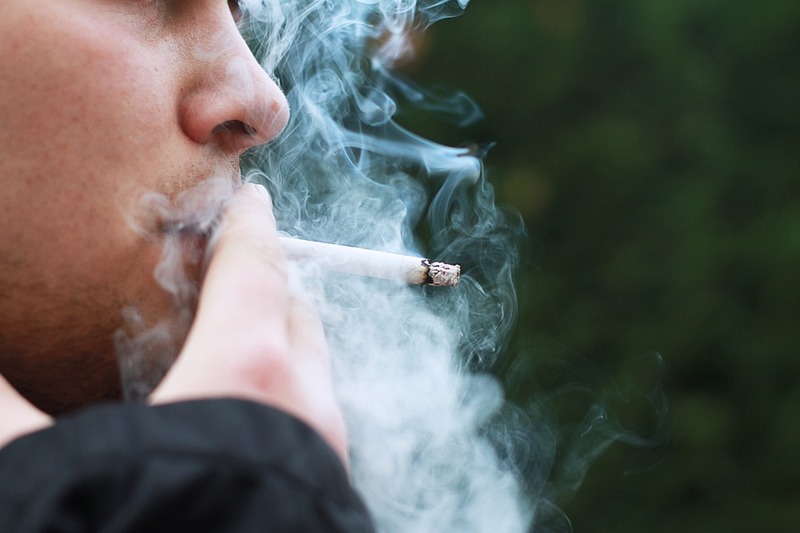 Their research found that in Chile, nearly 40 percent of the population identified as smokers. In Argentina and Uruguay, it was nearly 30 percent. These dangerously high proportions reflect a bountiful market for the tobacco industry, and a culturally integrated dependence on the harmful and addictive drug. In the face of endemic smoking habits in Latin America, Uruguay has earned a reputation for being at the forefront of enforcing progressive health-related policies. In 2006, Uruguay banned cigarette use in public spaces, and in 2008 the country enacted stringent legislation to prohibit “all forms of tobacco product advertising,” and require all packaging to accurately describe the “harmful effects of tobacco consumption.” Before he completed his first term in office in 2010, Uruguay’s President Tabaré Vasquez dealt a critical blow to the tobacco industry by limiting cigarette distributors to only selling one variation of their brands, and by stipulating that 80 percent of the packaging design had to display health warnings and gruesome images of patients with lung cancer and other smoking-related illnesses. Uruguay’s increasingly proactive stance against tobacco served as the catalyst that compelled PMI to take the country to an international court of law. PMI’s primary grievances were manifested through the guise of an intellectual property dispute; they claimed that Uruguay’s packaging laws damaged competition and infringed on the company’s intellectual property. Specifically, PMI complained about the limit of selling one variation of Marlboros, and claimed that covering 80 percent of the package in health warnings and graphic images was far too extreme. The company argued that both of these regulations would hinder its right to free competition guaranteed through the Uruguay-Switzerland Bilateral Investment Treaty. PMI undoubtedly had ulterior motives in its decision to sue. As former Uruguayan President José Mujica noted, “I’m certain that Philip Morris sells more cigarettes in any borough of New York than it does in Uruguay.” Given that Uruguay occupies such a small corner of the worldwide cigarette market, the decrease in profits coming from the country likely made little difference to PMI’s total revenue. Rather than being motivated by the concerns over loss of profit, PMI looked to intimidate Uruguay, and by extension any country, who would challenge the ingrained societal role of tobacco. Uruguay’s victory extends beyond this one court case—it has larger implications, both for big tobacco and big business. It reflects the continued development of several international norms, including the supremacy of state sovereignty over capitalist interests in the international system. Uruguay was able to enact legitimate legislation that went against the interests of big industry, and was reaffirmed in its right to enforce those laws, regardless of the damage to profits faced by the industry. Moreover, the victory places the importance of health as a public good above the infringement of intellectual property and potential profits of big business. Since the linkage between cigarette smoking and lung cancer became scientifically evident in the 1950s and ‘60s, the production and consumption of cigarettes have remained controversial issues. Yet, even with the known health risks, cigarette companies have continued to find incredible success while simultaneously contributing to the deaths of millions. This is largely because such companies have been able to conceal the risks of tobacco behind a smokescreen of suave advertisements. Therefore, the legitimization of Uruguay’s pushback against false advertising shows that the international system recognizes the absolute necessity of placing the health of the people first. The concerns of PMI over its loss of profit, or its ability to only sell a single variation of its product, are inconsequential in comparison to the lives saved. The case additionally reflects a shift in the paradoxical relationship of governments to tobacco and marijuana. Uruguay was a trendsetter through its legalization of recreational marijuana in 2013, but the majority of Uruguayans continue to view the drug as highly addictive and even more dangerous than tobacco. This is clearly the result of a widespread culture that has historically promoted smoking tobacco as fashionable and socially attractive while denouncing cannabis as an addictive and harmful drug. While tobacco companies have downplayed the harmful effects of using the drug and attracted consumers with conniving and seductive advertising, many Latin American education systems have failed to appropriately teach the dangers of smoking. Furthermore, cannabis has been considered an illegal substance for decades, which has allowed cartels and drug dealers to control the market. This has not only given drug cartels the opportunity to grow their profits and influence, which perpetuates violence, but has also fed into the negative perception of cannabis. Thankfully, the dominance of smoking is changing as a result of Uruguay’s decision to legalize marijuana for recreational use, along with the country’s persistent struggle against the tobacco industry. Overall, the rate of tobacco use has begun to decline rapidly. A study published in The Lancet found that the smoking rate in Uruguay fell at an average of 4.3 percent every year between 2005 and 2011, and that the decline can largely be attributed to Uruguay’s stringent tobacco laws. Cultural attitudes toward tobacco have shifted, as well. According to a 2014 survey conducted by the International Tobacco Control Policy Evaluation Project, the percentage of smokers who attempted to quit rose from 39 percent in 2011 to 44 percent in 2012. Furthermore, over 90 percent of tobacco smokers in Uruguay support a ban on smoking in restaurants and workplaces, compared to only 54 percent in 2006. The defeat of PMI is as symbolic as it is substantive in the effects it will have on the role of the tobacco industry in the international community. 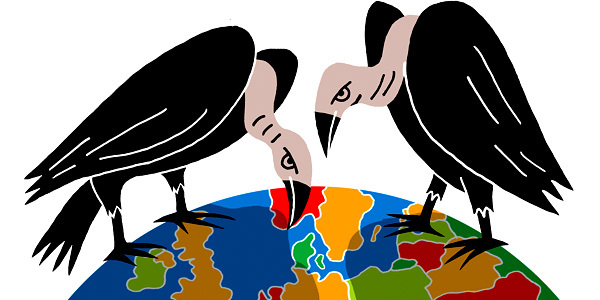 Although the court’s decision does not mean that PMI will lose all of its global influence, it continues the trend of international litigation in favor of the interests of nations over those of big business. In 2012, PMI lost its case against Norway over the display of tobacco products in stores. Similarly, the company’s lawsuit against Australia ended in December 2015, when the country’s plain packaging laws were upheld. Although, PMI is also embroiled in a lawsuit against the United Kingdom for its packaging legislation, the rulings in the last few years are hopefully indicative of the outcome of this case and others in the future. With any luck, these continued courtroom victories will incentivize more countries to enact stricter regulations on smoking, without fear of retaliation from companies like PMI. By continuing to prioritize public health over the frivolous concerns of lost profits by a lethal industry, international institutions and governments can work together to change the culture surrounding smoking entirely. This court case is a victory not just for Uruguay, not just for Latin America, but for the world. SMOKING VS. VAPING — WHICH IS BETTER? Cigarettes and marijuana and have been used for centuries, but only recently has the process of vaporizing these substances become popular. So what does science have to say about this technology? Is vaping actually good for you? When smoking normally, the heat from fire causes substances to change from a solid state to a vapor. In cigarettes, this releases nicotine which is absorbed into your bloodstream through the lungs, causing increased heart rate, constricted blood vessels, a release of dopamine in the brain, and feelings of alertness. But because nicotine is a stimulant, once it’s no longer present, you crash and crave more, which ultimately leads to addiction in many people. In the case of marijuana, the active component Tetrahydrocannabinol (aka THC) is aerosolized and follows the same pathway into your body, but with different effects. The “e-liquid” contains a base similar to that used in cosmetics and food which helps maintain moisture without creating sogginess. Find vaporizer in Liquido24. One common base called propylene glycol, which is also used in theatrical smoke, is known to cause irritation to the eyes and respiratory infections. Featured Photo: Taken from Pixabay. Margolis, Mac. “Big Tobacco Gets Crushed by Tiny Uruguay.” Bloomberg. July 18, 2016. Accessed July 26, 2016. http://www.bloomberg.com/view/articles/2016-07-18/big-tobacco-gets-crushed-by-tiny-uruguay. Szalavitz, Maia. “Study: Smoking Marijuana Not Linked with Lung Damage.” TIME. January 10, 2012. Accessed August 3, 2016. Goodman, Jordan, “Tobacco in History: The Cultures of Dependence” (New York: Routledge, 2005). Müller, Fernando and Luis Wehbe. “Smoking and smoking cessation in Latin America: a review of the current situation and available treatments.” International Journal of Chronic Obstructive Pulmonary Disease. Accessed July 15, 2016. http://www.ncbi.nlm.nih.gov/pmc/articles/PMC2629971/. Palloni, Alberto, Beatriz Novak, and Guido Pinto-Aguirre. “The Enduring Effects of Smoking in Latin America,” American Journal of Public Health. June, 2015. http://www.ncbi.nlm.nih.gov/pmc/articles/PMC4431107/. “Uruguay Smoking Control Regulations.” Tobacco Control Laws. http://www.tobaccocontrollaws.org/files/live/Uruguay/Uruguay%20-%20Law%20No.%2018.256.pdf. “Uruguay Bilateral Investment Treaty (BIT) Litigation.” Philip Morris International. Accessed July 25, 2016. http://www.pmi.com/eng/media_center/company_statements/Pages/uruguay_bit_claim.aspx. Davies, Wyre. “Michael Bloomberg fights big tobacco in Uruguay.” BBC. April 7, 2015. Accessed July 27, 2016. http://www.bbc.com/news/world-latin-america-32199250. Boidi, Maria Fernanda, Cruz, José Miguel, Queirolo, Rosario, and Bello-Pardo, Emily, “Marijuana Legalization in Uruguay and Beyond.” FIU Latin American and Caribbean Center. Accessed July 15, 2016. Castro, Guzmán, “From punishment to markets: Social movements, the state, and legal marijuana in Uruguay,” in APSA conference, 2014. Accessed July 25, 2016. Abascal, Winston, Elba Esteves, Beatriz Goja, Franco González Mora, Ana Lorenzo, Amanda Sica, Patricia Triunfo, and Jeffrey E Harris. “Tobacco control campaign in Uruguay: a population-based trend analysis.” The Lancet. Accessed July 25, 2016. http://www.thelancet.com/journals/lancet/article/PIIS0140-6736(12)60826-5/abstract. “Norway: Prohibition on the visible display of tobacco products at the points of sale.” WHO. October, 2012. Accessed July 26, 2016. http://www.who.int/fctc/implementation/news/news_nor/en/. Hurst, Daniel. “Australia wins international legal battle with Philip Morris over plain packaging.” The Guardian. December 17, 2016. Accessed July 26, 2016. https://www.theguardian.com/australia-news/2015/dec/18/australia-wins-international-legal-battle-with-philip-morris-over-plain-packaging. Jolly, David. “Tobacco Giants Sue Britain Over Rules on Plain Packaging.” The New York Times. May 22, 2015. Accessed July 26, 2016. http://www.nytimes.com/2015/05/23/business/international/tobacco-plain-packaging-philip-morris-british-american-cigarettes.html. 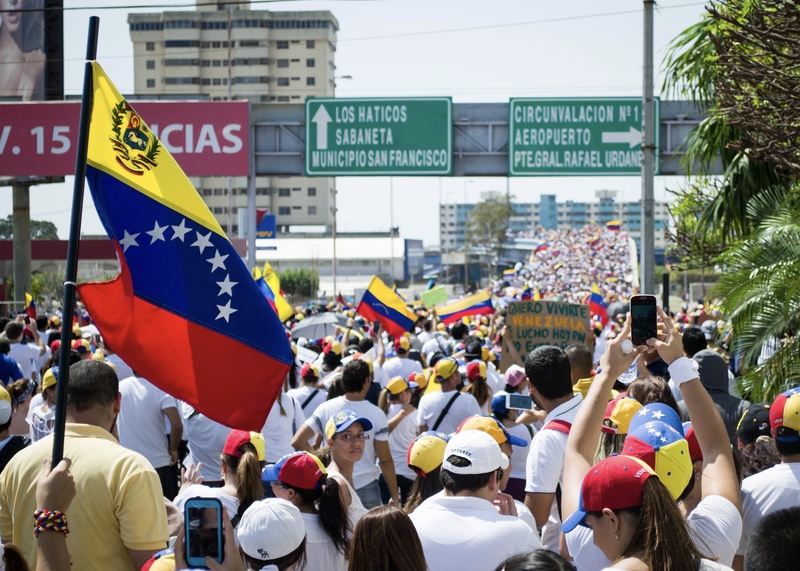 Venezuela’s Regional Elections: What’s Next?